Many of us have heard that red wine, in moderation, is good for the heart. By moderation, I mean one glass of red wine per day. Research on red wine has concluded that one of the primary compounds responsible for this effect is Resveratrol. This compound is mostly found in the skin of red and purple grapes. It is transferred to the red wine during the fermentation process. As you can imagine, a lot of wine drinkers accepted this relatively new news with full enthusiasm. As always, I am here to reveal the truth of the matter based on my extensive research into the topic. Furthermore, as is commonly the case, the connection of Resveratrol with heart health is a bit more complicated than it seems, so I decided to illuminate the subject. There is no doubt that Resveratrol protects the heart and arteries from damage and plaque formation. It does this in at least five different ways. I will not present these five mechanisms here because I would have to use advanced biochemical terminology! Suffice it to say that Resveratrol is a potent anti-oxidative, free radical-scavenging molecule which protects the heart from plaque formation. These arterial plaques are responsible for heart attacks and certain types of strokes (i.e. the ischemic ones). Resveratrol also helps the healing process after heart attacks. The catch is that it would take approximately 20 glasses of red wine each day to reach the blood level of Resveratrol that produces this positive effect. Such positive effect would be reversed by the excessive level of alcohol which is itself cardio-toxic. Therefore, the only practical way to provide sufficient Resveratrol is to supplement with it. Resveratrol supplements usually come in either a liquid form or in capsules. Unfortunately, a large part of this Resveratrol passes through the liver where it is modified to form certain metabolites (by attaching chemical side groups to the original molecule). The question remains whether or not these metabolites also produce the cardio-protective effects of Resveratrol. 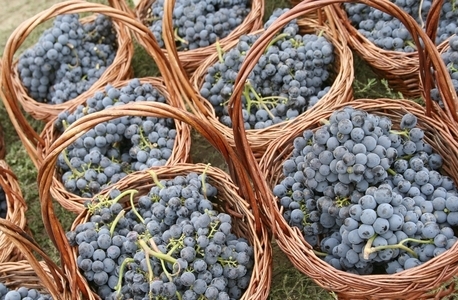 Fortunately, some of the ingested Resveratrol is not modified by the liver, and this portion indeed has the undisputed cardio-protective properties. In order to facilitate this effect, it is recommended to ingest the highest allowable dose of Resveratrol each day, in order to provide a sufficient amount of unmodified Resveratrol into the blood. With all this objectivity and criticism aside, there is absolutely no doubt that Resveratrol is a potent and effective natural health product for the protection of the heart and the maintenance of healthy cardiovascular function. Furthermore, what many of us may have not heard is that Resveratrol has been found to have a strong positive effect for a number of medical conditions in many animal, in vitro and human studies. First of all, Resveratrol has been shown in animal studies to have anti-aging properties, with the effect of substantially prolonging the life span of the animals under study. Such results are awaiting verification on human volunteers. Resveratrol has also been shown to have anti-cancer properties, especially for cancers that come with direct contact with Resveratrol before it is metabolised by the liver. Such cancers are the cancers of the gastrointestinal tract (for example, colon cancers) and cancers of the skin (after application of Resveratrol-containing creams). This last mode of delivery has also been shown to protect the skin from the aging and wrinkle-forming effects of UV radiation. Resveratrol also ameliorates the common symptoms of diabetes by having hypoglycemic (i.e. sugar lowering) and hypolipidemic (i.e. fat lowering) properties. It decreases excessive eating and drinking associated with diabetes and slows down body weight loss. Another important point is that as a strong antioxidant, Resveratrol has shown neuro-protective properties (i.e. protecting nerve cells from cell death and damage). It also reduces the accumulation of beta-amyloid, the molecule mainly responsible for the development of Alzheimer’s disease. Research on Resveratrol’s capability of protecting from or treating both Alzheimer’s disease and Huntington disease in humans is currently underway. Finally, Resveratrol has shown significant promise in the treatment of rheumatoid arthritis in animal models. It also inhibits many viruses including shingles, influenza (common cold), respiratory viruses, and CMV. In HIV patients, Resveratrol enhances the activity of several anti-HIV drugs. Finally, Resveratrol increases the level of testosterone in animal models, giving it further credibility as an enhancement performing and anti-aging molecule. One cautionary note: Resveratrol’s anti-cancer properties have also been shown in breast cancer studies. This effect could potentially be based on antagonism of estrogen. Therefore, women should use caution when planning to combine Resveratrol with oral contraceptives, as the former may make the latter less effective. Caution should also be exercised by women who plan to become pregnant and who are already pregnant (because of the anti-estrogenic property), and for children and young adults below the age of 18 (as no safety studies were performed on this demographic population). My overall summary is that this molecule is amazing with respect to protecting the heart from harm. It is also great for restoring proper heart function after assaults like a heart attack. However, only supplementation with high doses seems to confer such protection (and not drinking red wine, unless you drink 20 glasses per day, where the positive effect of Resveratrol is reversed by the high dose of alcohol). This is my objective analysis for the day. Stay tuned for my next blog posts on this month’s themes of Heart health and Sexual Health.